2692 IGNAZ LUTZ IN WIEN. 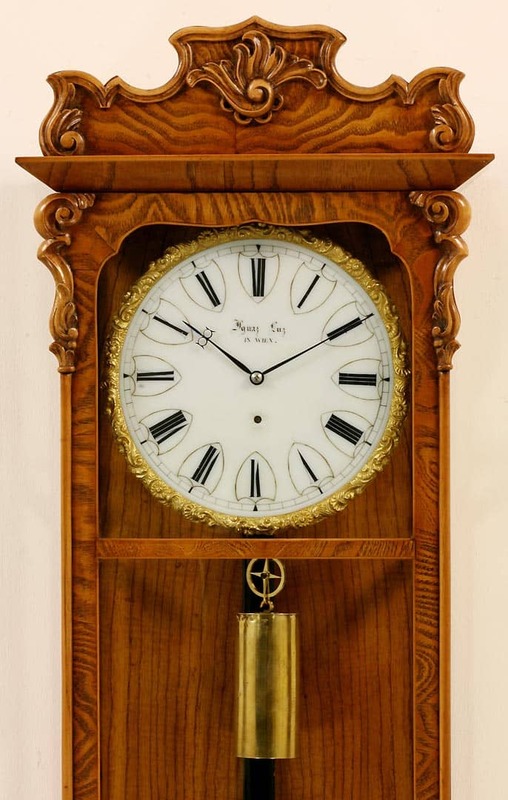 AN ATTRACTIVE ASH BIEDERMEIER EIGHT DAY TIMEPIECE. CIRCA 1845. The case has beautiful rich honey coloured figured veneers throughout. It has a shaped cresting with a carved scrolling edge and central motif. The undercut base terminates in a carved scroll and shell design. The front door has a shaped top edge to the glass and carved decoration to the upper sides. 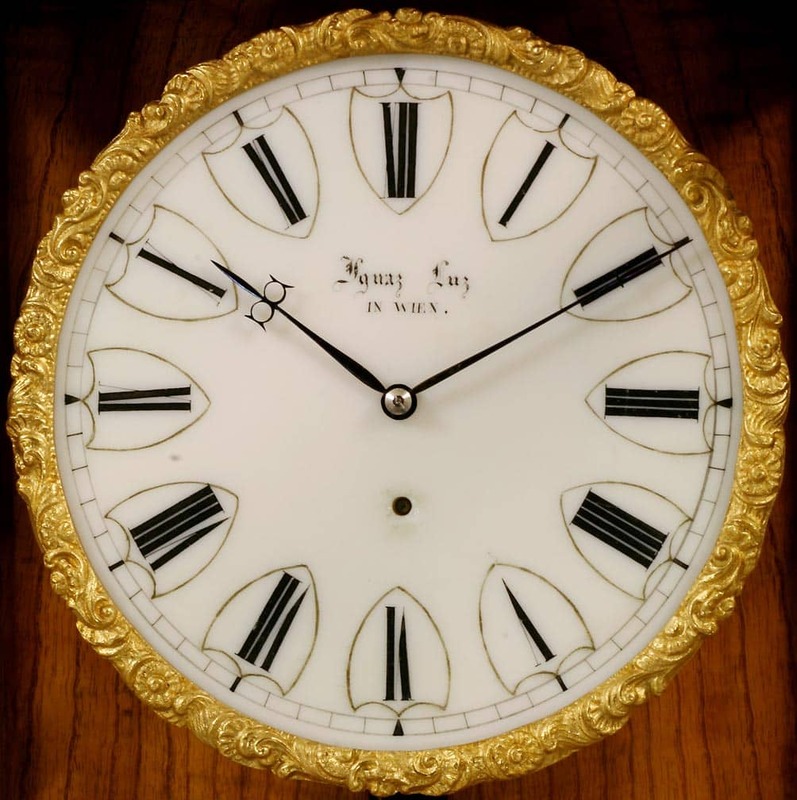 The milk glass dial is signed ‘Ignaz Luz in Wien’ with black slender Roman numerals within shields enclosed within an ornate and gilded ‘pie crust’ bezel. Having the numerals within delicate shields is very attractive and highly unusual. 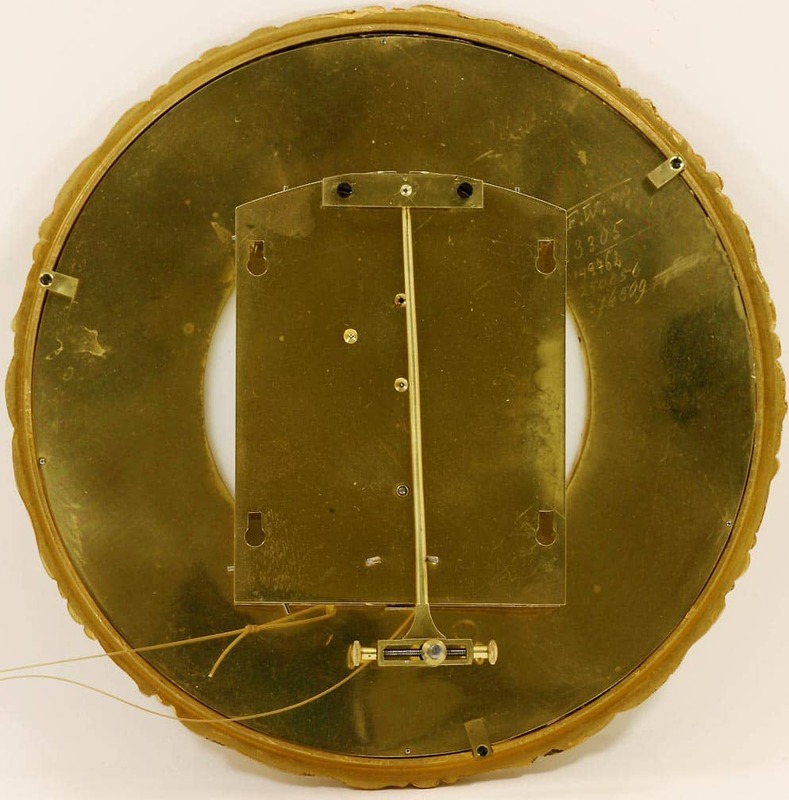 The eight day timepiece movement has deadbeat escapement and a wood rod pendulum. Ignaz Lutz is recorded as working in Vienna between 1841 – 1881.